The Central Board of Secondary Education (CBSE) has released the results of the Central Teacher Eligibility Test, on March 21, 2014 at 6:30 p.m. at the official website ctet.nic.in. The Original hard copy of the results will be sent to the candidates from 21st April 2014. CTET 2014 was held on 16th February 2014. The cutoff mark of CTET 2014 is 60%. 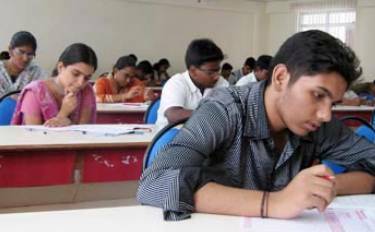 CBSE will release a special Eligibility Certificate from the board through speed test. The Marksheet of CTET 2014 will be sent to candidates by registered post. Check CTET 2014 results on the official website ctet.nic.in. For those who need a duplicate copy, they can send an application to the board along with the basic fees, and the duplicate CTET Marks Statement will be issued. The Answer Keys for CTET 2014 are now availble from CTET Website. The CTET certificate offered CBSE is valid for seven years for candidates who qualify, although the candidate may reappear for the test in the subsequent years to improve the score. Also, the board has no restrictions on the number of attempts that each candidate can take for a given year. Central Teacher Eligibility Test is the basic examination that candidates need to pass to take teaching jobs for classes I – VIII for all Central Government Schools. All Union Territory Schools, State Government aided Schools and some of the private schools also take the score into consideration for appointing teachers. There are two papers to be passed here. Paper is for candidates willing to teach Classes I – V, while Paper 2 is for Classes VI –VIII. Aspirants can also take both the papers, which qualifies them for both primary and elementary classes.